Cut bread slices diagonally and toast. I used oven at 150°F for 5 minutes. 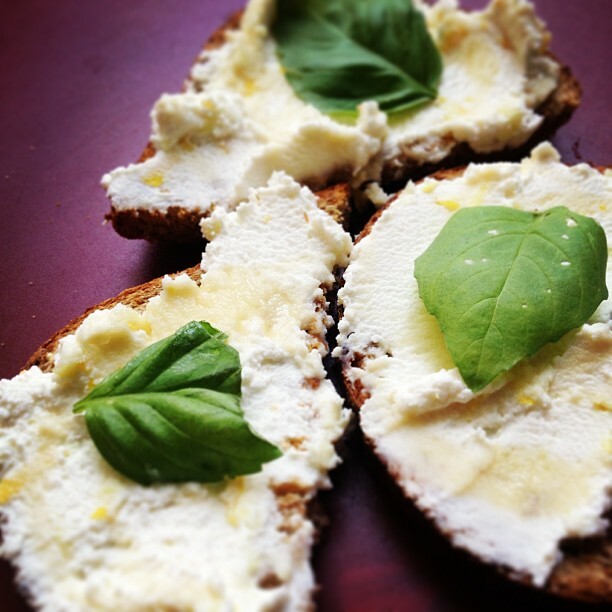 While it’s toasting, mix ricotta and lemon zest. Spread ricotta mixture on toast slices. Drizzle slices with honey and top with a leaf of basil. Serve and enjoy the “yummms” that echo around the room. What’s your favorite summer time appetizer?